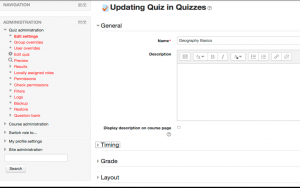 Once you have created a quiz, you need to make sure it will work as intended before releasing it to students. Make sure the quiz is hidden from view. (Turn editing on and select Hide on the Edit drop-down or use Timing in Settings). Click the quiz and select Preview from Quiz Administration menu on left or Attempt quiz now. This will enable you to see and take the questions as a student would. However, it also gives you the option to make changes via Edit question as you proceed. Once you finish the attempt, you will see the results as a student would see them and can make further changes from there via Edit question. N.B. It is also possible to review a quiz using Switch role to student. Make sure it is visible for this. However, you will then have to hide it again if you need to make changes. To make changes to how the quiz as a whole behaves e.g. number of attempts, use Quiz Administration/Edit settings. For more details on the options, see Add a Quiz. N.B. 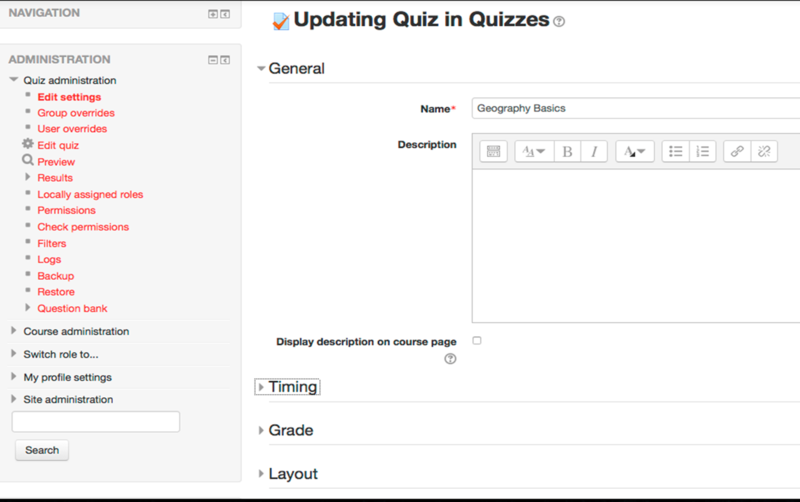 Make sure all these changes are made in advance of the quiz being made available to students as changes after students have started taking a quiz cannot be applied retrospectively. Editing of existing questions can be done during Preview (see above) but to add new questions or reorder questions, you need to use a different method. 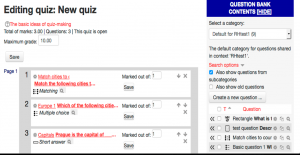 Click the quiz and select Edit quiz. 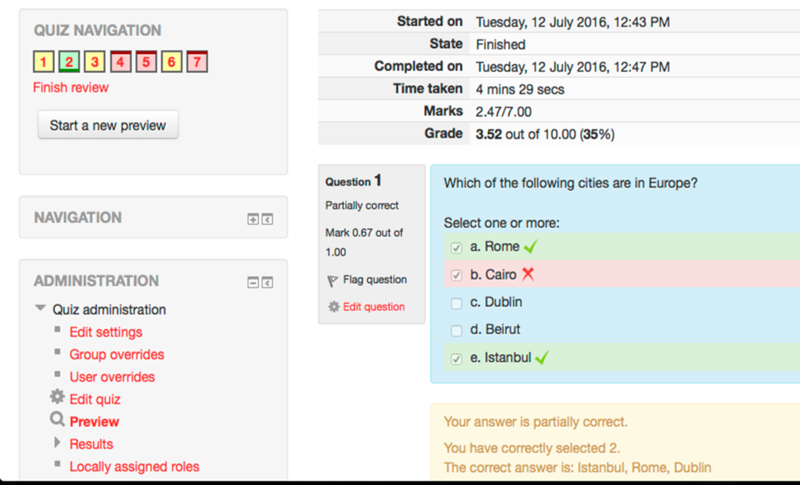 On the subsequent screen use Add a question to create a new question or select a question from the QUESTION BANK and Add to quiz. Use the icons to the right of the questions to move or delete. To edit a question, click the cog icon to the left of the title or click on the title. 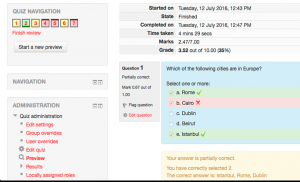 Moodle uses defaults for scoring questions and grading quizzes which may not be what you require. Change the Maximum grade as required e.g. you may want to change this from 10.00 to 100.00. Regardless of the number of questions and point score the overall grade will be based on this. Alter the individual question scores using Marked out of and Save.